Why summer, if not for spending long, lazy afternoons in a gently swinging hammock, absorbed in one great book after another? Especially when those books hold a universe of magic, mystery, adventure, play, romance, reflection, or simplicity – the very essence of summer. Here are a few summer books for boomers worth rereading. Timeless treasures, reading pleasures . . .
Who doesn’t love a little magic in her life? Conjure up the spells of Harry Potter in J.K. Rowling’s world – Serpentsortia! Imperio! – or inhabit Middle-Earth with elves and hobbits in Lord of the Rings for pure escapism and fantasy. Rediscover the value of friendship, loyalty and heroism no matter the cost or consequences. 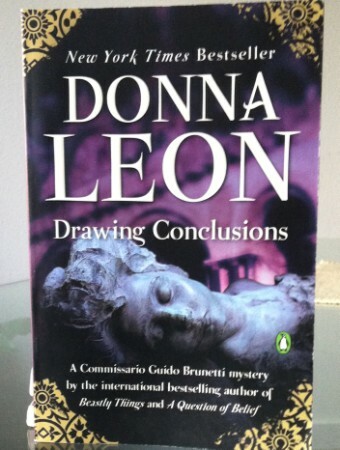 It’s easy to immerse yourself in the world of Donna Leon’s mysteries. Her series features the beloved everyman, Commissario Guido Brunetti, whose crime cases deal with truth, justice and the Venetian way. Leon paints a convincing portrait of a man caught up in social issues of the day against the backdrop of a loving family in a city of irresistible beauty. Summer days inspire us to slow down and play. 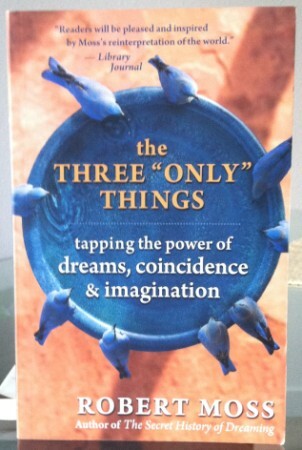 Make your own fun with games that dreamers play in The Three “Only” Things: Tapping the Power of Dreams, Coincidence & Imagination, a non-fiction guide to living your life out loud by dream archeologist, Robert Moss. The author counsels, “Dreaming is less about sleep than waking up” and “The time is always now.” Sometimes life rhymes . . .
For wanderboomers, tales of swashbuckling adventures flash back to Robin Hood and his merry men or thrilling stories of pirates sailing the wine dark sea. Maybe that’s why I find Patrick O’Brien’s series of Jack Aubrey novels so comforting and compelling. Aubrey’s sidekick is the ship’s surgeon/naturalist, Stephen Maturin. The story of their friendship while serving in the Royal Navy during the Napoleonic Wars offers both heartbreak and inspiration. I love a good beach book (engaging, escapist, quick read) as much as anyone. But for the lasting pleasure of a literary romance, I turn to Love in the Time of Cholera by Noble prize winner, Gabriel Garcia Marquez, every time. How long would you wait for the love of your life? Would you wait fifty-one years, nine months and four days? With stretches of unstructured summer days (Yes, I can dream) comes time for reflection. 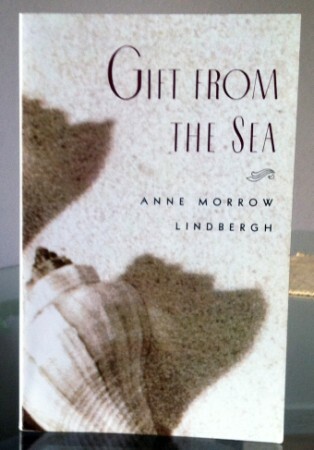 In her memoir, Gift from the Sea, Anne Morrow Lindbergh muses on the meaning of what matters most. By sharing her thoughts on work-life balance, motherhood and marriage from her own life experiences, she inspires gratitude, grace and tranquility. Even with limited downtime, my summer reading plans always include a book of poetry. Why? Because a good poem suspends a moment in time that captures a special mood or feeling. We identify with how it feels to fall in or out of love, become a parent or face middle age, delight in the sight of a deer in the woods or choose which of two roads that diverge there. A good poem can be read, remembered and cherished for crystallizing an extraordinary or everyday universal experience. 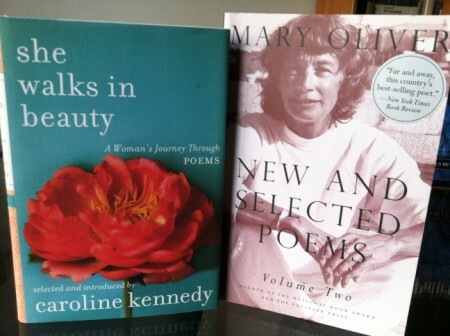 Recommended volumes include Mary Oliver’s New and Selected Poems, Volume Two and Caroline Kennedy’s She Walks in Beauty: A Woman’s Journey Through Poems. What’s on your reading list this summer, wanderboomers? 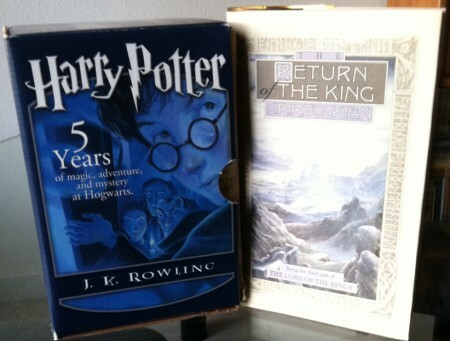 What are your go-to books every year? 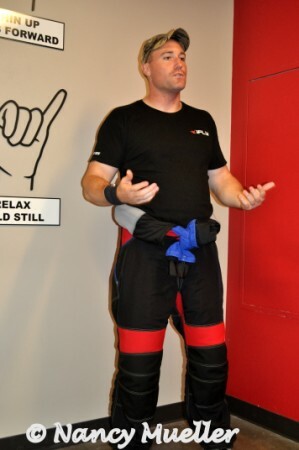 Suited up, ready for my first iFLY Indoor Skydiving moment, I approach the doorway with apprehension. 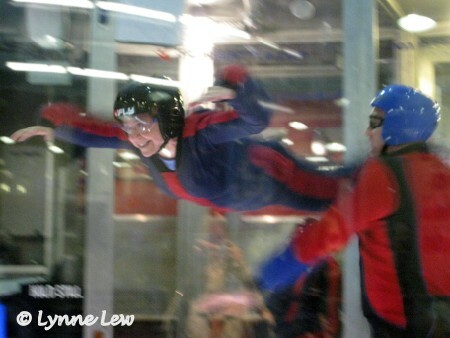 Despite the brief training and pep talk from our iFLY instructor, despite watching others soar before me, despite my outward bravado, there’s no way to know the feeling of skydiving until taking the plunge. I step forward. Arms across my chest, I lean into the chamber. Whoa! The vortex pulls my face into a maniacal grin. My heart somersaults. Instructor Mike stays by my side, helping position my arms and feet just so to achieve optimal in-flight form. A small tweaking (not twerking) here and there . . .
How cool is this? 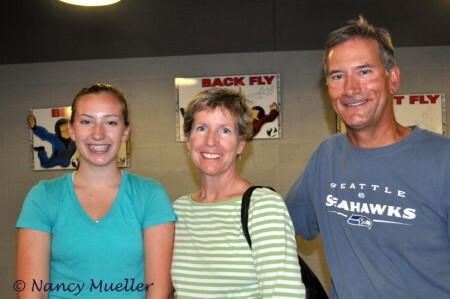 iFLY Seattle customers can experience the thrill of skydiving without need of a parachute and without jumping out of a plane at an altitude of 10,000 feet. All you need is the world’s first all glass vertical wind tunnel – which also just happens to be the fastest and largest recirculating wind tunnel west of the Mississippi. 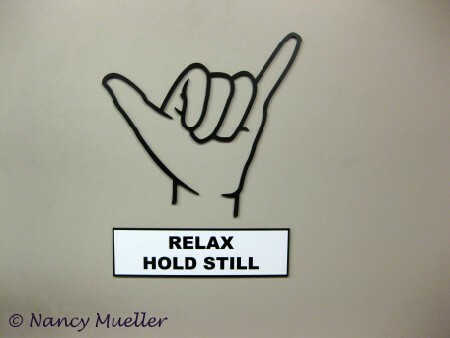 Watching the training video and learning a few important hand signals takes all of 15-20 minutes. Next, don your flight suit, goggles, helmet, well-secured tennis shoes – don’t forget the earplugs – and head into the second airlock tunnel to wait your turn to lean in. I watch as a family of three goes first, one by one. Jeff Green leads off. Obviously, this man boasts skydiving genes, requiring little assistance from Instructor Mike. Next up, teen daughter Jane mimics the same movements with complete ease. Now it’s mom’s turn. Mary Green, too, flies easily, flying even higher than she expected. Easy peasy. With hope in my heart and a lump in my throat, I’m up. After my initial entry, Instructor Mike signals for me to keep my chin up, arms out in front of me, legs slightly bent at the knee, spread apart a couple of feet. Seems easy enough. But remember, you’re working against tremendous wind velocity, up to 160 mph. Still, I hold my own with just one minor flip. Oops. Instructor Mike flips me back, belly down before twirling me around in the air. Wheee! The nice thing about the flight suits is that they come with love handles on the hips and back to make it easy for the instructor to grab onto you when needed. Each person in the group has the chance to take two one-minute flights. Each of us improves our skydiving performance the second time around. One minute doesn’t sound like a long time, but it’s long enough to feel the effects of flying high. Well, not too high. For that you need more skydiving time – which you will want to sign up for anyway once you give this a try. Who can fly here? 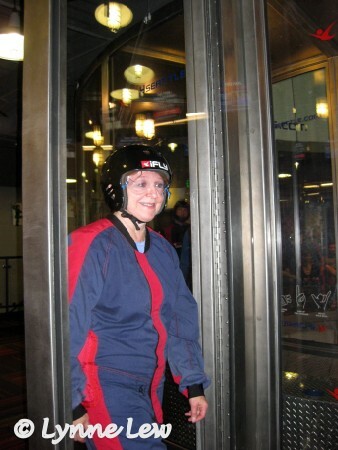 Incredibly, customers at iFLY Seattle have ranged in age from 3 to 103! Ready to join in the fun? For pricing and packages, check out the company’s comprehensive website. Up in the sky, look! It’s a bird. It’s a plane. It’s YOU flying high! 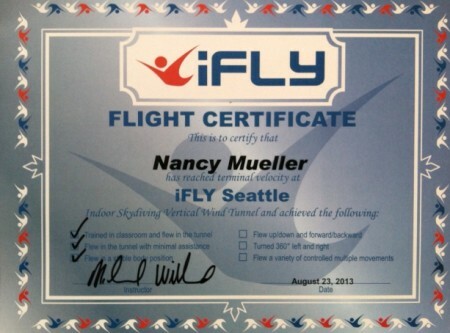 Thanks to host iFLY Seattle for the opportunity to earn my wings. What are you doing to play today, wanderboomers? Have you ever been skydiving, indoors or out? 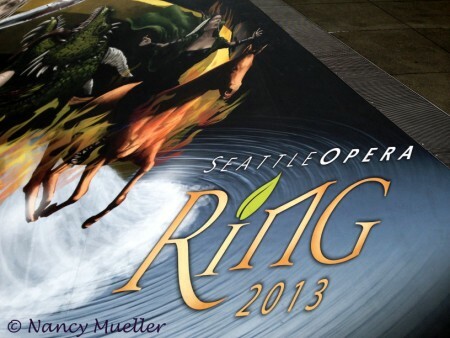 Seattle Opera Ring 2013. I did it! I just made it through my first complete performance of Richard Wagner’s Der Ring des Nibelungen – a four-opera heroic epic. With great thanks to the vision of Speight Jenkins, General Director; Asher Fisch, Conductor; Stephen Wadsworth, Director; and Thomas Lynch, Set Designer . . .
Summarizing the plot of Der Ring des Nibelungen is an adventure in itself. In a nutshell, the evil dwarf Alberich steals the magical gold protected by the Rhine Daughters. The gold is magical because whosoever forswears love and forges the gold into a ring, can rule the world. Enter Wotan, King of the Gods, who also desires the ring that Alberich has forged from the gold. When Alberich refuses to give it to him, Wotan rips it off his finger. But Alberich curses whomever possesses the ring, setting the stage for a path of death and destruction throughout the operas. Wotan later gives up the ring to Fasolt and Fafner, two brother giants he had commissioned to build Valhalla, a home for the gods. When Fasolt claims the ring for himself, Fafner kills him. Wotan has sired several daughters (the Valkyries), including his favorite Brünnhilde. He also sired a son, Siegmund, with a mortal woman. When Siegmund goes into battle, Wotan naturally wants to protect him. But Wotan’s goddess wife, Fricka, demands his death. Wotan reluctantly agrees and orders Brünnhilde to carry out his wishes. But Brünnhilde defies Wotan justifying her actions by saying that she knows that in his heart, Wotan doesn’t mean it. It’s bad enough to defy your own father, but when he’s Wotan, King of the Gods, watch out. He casts Brünnhilde from the god-family. He puts her to sleep on a mountain top declaring that she will be awakened by the first man who sees her. Brünnhilde pleads for only a hero to claim her and requests a ring of fire around her to prevent cowards from entering. Wotan honors her request. Wotan’s grandson, Siegfried, was conceived by brother and sister, Siegmund and Sieglinde. After his parents die, Siegfried is raised by Mime, the Nibelung, who hopes that Siegfried will slay the dragon Fafner (formerly the giant who has since turned himself into a dragon by the magical helmet, Tarnhelm). Fafner the Dragon guards the gold ring which Mime desires for himself. Siegfried kills Fafner with his father’s repaired sword, Nothung, and captures the ring. Before leaving, he also kills Mime when he learns of his deceit from the Forest Bird. When Siegfried hears about Brünnhilde from the Forest Bird, he sets off to find her. He climbs up the mountain, enters through the ring of fire and awakens her with a kiss. The two declare their undying love and passion for one another. The end is in sight. Siegfried sets off for battle, leaving Brünnhilde on the mountain. Hagen, Alberich’s son, concocts a treacherous plan to deceive his half-brother, King Gunther, half-sister, Gutrune, Siegfried and Brünnhilde. By giving Siegfried a magic potion when he arrives at their castle, they erase his memory of Brünnhilde. That way Siegfried is free to fall in love with Gutrune, Gunther is free to marry Brünnhilde, and they would have the magical ring. Of course, things don’t turn out as Hagen had hoped, once Brünnhilde learns what happened. Hagen kills Siegfried, then Gunther. Hagen reaches for the ring from Siegfried’s finger but is warned away when the dead hand of Siegfried rises in warning. Hagen backs away. The opera ends with Brünnhilde taking the ring from departed Siegfried before walking into the flames on a funeral pyre she has requested. The ring returns to the Rhine Maidens who pull Hagen under as he attempts to grab it. Valhalla is destroyed, the curse removed, and the earth returned to its natural order. 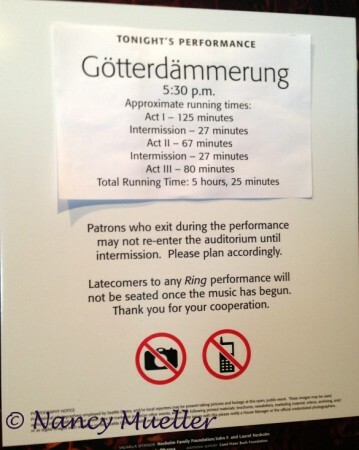 So was it worth enduring about 18 hours of opera in a week? Oh, yeah! The transcendent music, the heroic journey, the stellar performances from Greer Grimsley (Wotan), Stephanie Blythe (Fricka), Alwyn Mellor (Brünnhilde), Stefan Vinke (Siegfried), Richard Paul Fink (Alberich) and everyone in the cast and behind the scenes, all made for a truly unforgettable experience. Have you ever seen the complete Der Ring des Nibelungen, wanderboomers? Please share your experience with us here. 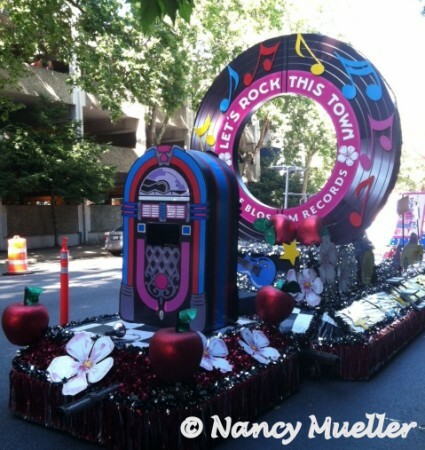 Since the 1950’s, Seafair has ruled as Seattle’s favorite summer festival spanning several weeks. For most Seattleites, Seafair traditions include the Blue Angels, hydroplane races on Lake Washington and the Torchlight Parade. Even smaller neighborhood events like the Milk Carton Derby at Green Lake and the Lake Union Wooden Boat Festival are all part of the fun. The celebrations kick off with the crowning of King Neptune and the Queen of the Seas (now named Miss Seafair). 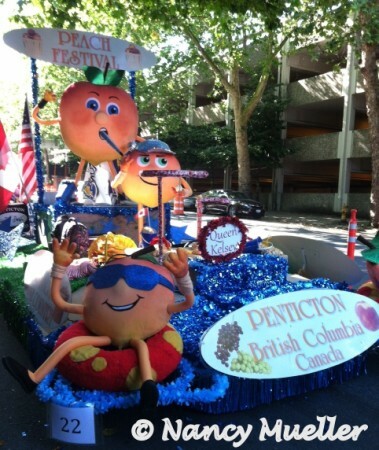 But where would we be without the Seafair pirates to add a bit of mischief? After their customary landing at Alki Beach in West Seattle, the pirates pop up all summer (and now even throughout the year), playing pranks around the city. Like the time a few pirates entered a local pub, pulled up a couple of chairs and invited themselves to join a few patrons at their table. Turns out the patrons were tourists and had no idea what the heck was going on. Even better! Unfortunately, the Blue Angels won’t be the headliners at this year’s festival, due to federal budget cuts. But the air-show must go on. The Patriots Jet Team, a six-plane aerobatic group, has stepped in fill the void for Seafair Weekend, Friday August 2nd – Sunday August 4th. 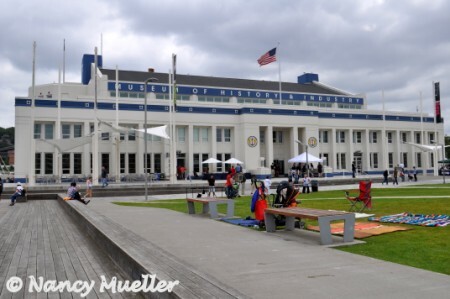 To learn more about the history of Seattle’s most popular summer festival, head to MOHAI (The Museum of History and Industry) on Free First Thursday, August 1st. If you arrive between 11AM and 1PM, you might even get the chance to practice the royal wave with Miss Seafair herself. For more information, be sure to check out the Seafair calendar of events. What’s your favorite summer festival, wanderboomers? 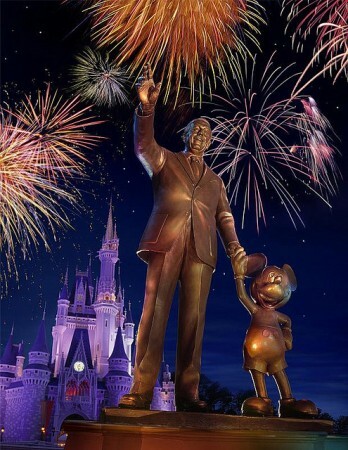 In keeping with the spirit of yesterday’s post, N is for Never Never Land, today we move forward to O is for Orlando.While planning a business trip to Florida’s, “The City Beautiful,” I considered extending my stay for a visit to “Mickey’s House,” Walt Disney World. But I wasn’t sure how much I’d enjoy going solo. Then I was reminded: “Don’t worry. 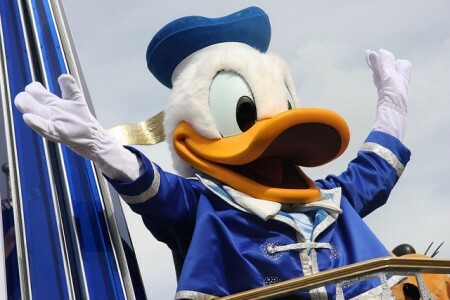 Your friends Mickey and Donald will be there!” Of course . . . I planned my visit for first thing in the morning when the theme park opened – and ended up staying until the night-time fireworks. I just attached myself to various families along the way throughout the day. 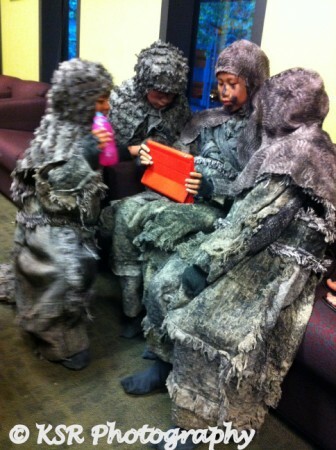 The parents might have been wondering who I was, but their kids let me tag along without question or concern. We had the best time! 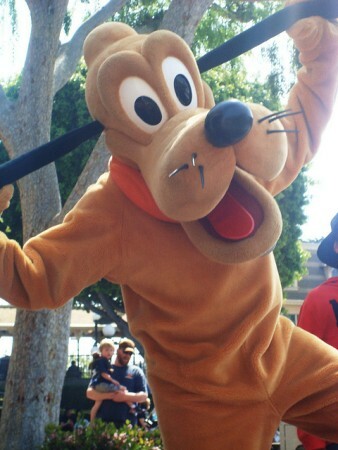 What’s your favorite attraction at Walt Disney World, wanderboomers?